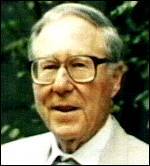 1925 William Glasser is born on May 11th, in Cleveland Ohio to Ben and Betty Glasser. 1942 Graduates from Cleveland Heights High School. Enters CASE School of Applied Science. 1945 Completes B.Sc. degree in chemical engineering and begins work as a chemical engineer for Lubrizol at CASE. 1946 Enrols in a psychology program at Western Reserve University in the spring and enters Master’s program in the fall. Is drafted into the army and after basic training in Alexandria, Virginia, goes to Dugway Proving Ground in Utah where he tests German poisonous gasses. 1947 Is discharged from the chemical corps after 7 months service and re-enters Master’s Program at Western Reserve. 1948 Completes Master’s degree in Clinical Psychology and enters the doctoral program at Western Reserve. 1949 Enters Western Reserve University Medical School. 1953 Graduates from Medical School. Begins internship as a physician at Veterans Administration Centre in Los Angeles, CA. 1954 Commences psychiatric residency as a ward doctor at the Brentwood Veterans Neuropsychiatric Hospital in West Los Angeles. Works with male patients diagnosed with schizophrenia. 1956 Begins work as a psychiatrist for the Ventura School for Delinquent Girls and also at the Neuropsychiatric Institute and Outpatient Clinic at UCLA. Meets with G.L. Harrington who says, “join the club” of those who do not believe in mental illness. Opens private practice office. 1957 Completes residency at VA Hospital and at UCLA. Commences work with paraplegics at the Orthopaedic Hospital. 1958 Begins lecturing on mental health vs. mental illness for the California Youth Authority. 1961 Becomes a Board Certified Psychiatrist. Starts using his ideas in public schools in Sacramento, Los Angeles, and Palo Alto, CA. Is invited to a “think tank” at the Corning Conference in New York. 1962 First coins the term for his ideas as reality psychiatry at an America Correctional Association lecture In Seattle, WA. In October, while lecturing at the British Columbia Correctional Association, he changes the name to Reality Therapy in order to reach all people working in the helping professions, not just psychiatrists. 1963 Extensive Lecturing in Addictions and Corrections while maintaining a private practice. 1964 After consulting for eight years with G.L. Harrington, Dr. Glasser prepared for his upcoming book. 1965 Reality Therapy is published by Harper and Row and is a huge success. Begins working in Watts in the Los Angeles Unified Public School District. 1966 Finishes work at the Orthopaedic Hospital. 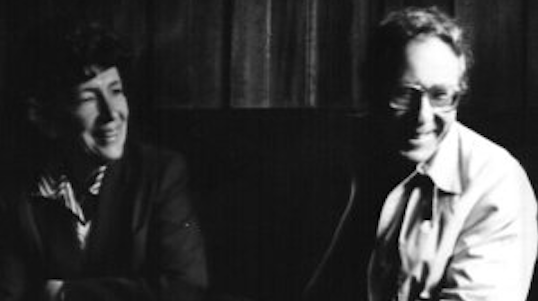 1967 Establishes The Institute for Reality Therapy. Continues work at the Ventura School for Delinquent Girls. 1968 Educator Training Center is established with Doug Naylor as the Director. Works with Donald O’Donnell, Principal in Palo Alto, to create a model elementary school program. 1969 Schools Without Failure is published. 1970 Is interviewed by U.S. News and World Report. 1971 Consults with schools to create Schools Without Failure. 1972 Identity Society is published. 1973 Continues to consult with schools. 1974 Books sell all over the world and are translated into almost every language in the civilised world. Interview by Berges in the Los Angeles Times. 1975 Produces a play (which he wrote) called “Beehive,” which runs for 6-7 months in LA theatres. (Coincidentally, the TV series, Three’s Company, airs the following season with the same theme as Beehive. The first Reality Therapy Certification class is held. 1976 Positive Addiction is published. Meets William Powers after reading his book, Behaviour: The Control of Perception. 1977 Goes to Chicago to consult with Powers. Interview by Muro for article in The Humanist Educator. Begins to develop a theory of human behaviour based on William Powers’ ideas. 1978 Writing and working with the ideas of Control Theory. 1979 Lecturing extensively throughout the United States and Canada. 1980 What Are You Doing?, a book on case studies, is published, edited by Naomi Glasser, his wife at the time. The 1st Convention is held in Los Angeles. 1981 Stations of the Mind is published. The 2nd Reality Therapy Convention is held in St.Charles, IL. Advisory Board of Directors of The Institute for Reality Therapy is formed. The International Journal of Reality Therapy is launched with Dr. Larry Litwack as editor. 1982 Interview by Evans for The Personnel and Guidance Journal. The 3rd International Convention is held in Houston, TX. 1983 The 4th International Convention is held in Boston, MA. 1984. Take Effective Control of Your Life is published. The 5th International Convention is held in Copper Mountain, CO.
1985 Take Effective Control of Your Life is reprinted in paperback as Control Theory. The 6th Annual International Conference is held in Montreal, Quebec. 1986 Control Theory in the Classroom is published. The Glasser Scholarship Fund is started to help provide training for Reality Therapy Certification. Private practice office is closed due to extensive lecture schedule, world-wide. The 7th International Convention is held in Seattle, WA. 1988 Brandt interview in Educational Leadership. Robert Wubbolding becomes the first and current Director of Training. The 9th Annual International Convention is held in Scottsdale, AZ. Achievement Inc. is launched in Toyko, Japan. 1989. Is invited to join the distinguished faculty of pioneers in the psychological professions for the renowned Evolution of Psychotherapy Conference. Cockrum interview in Psychology, A Journal of Human Behaviour. Control Theory in the Practice of Reality Therapy is published. The 10th Annual International Convention is held in Kansas City, MO. 1990 The Quality School is published. Chance/Bibens interview in Middle School Journal. Receives honorary degree, Doctor of Humane Letters, Honoris Causa, from the University of San Francisco. Begins disassociating himself from discipline programs in schools. The 11th Annual Convention is held in Cincinnati, OH., marking the 25th anniversary of the book, Reality Therapy. 1991 The Quality School ideas spread and training to establish the first Glasser Quality School in Michigan takes place. No Annual Convention is held this year but regional conferences take place. 1992 Naomi Glasser, wife of 46 years, dies of cancer. The Institute members sadly mourn her death. 1993. The Quality School Teacher is published. The 12th Annual International Convention is held in Vancouver, B.C., Canada. 1994 The Control Theory Manager is published. Begins a serious relationship with Carleen Floyd, an instructor for The Institute, with a school counselling background. Together they begin work in the Schwab Middle School in Cincinnati, OH., to train staff in the Quality School ideas. The 13th Annual International Convention is held in Dublin, Ireland. 1995 Staying Together is published. Marries Carleen, July 8, 1995 at the 14th International Convention in Philadelphia, PA. While in Ireland, Irish instructors say the title “Control” Theory is misleading and should be changed to reflect the rejection of external control. Presents at the Evolution of Psychotherapy Conference in Las Vegas, NV. 1996. Choice Theory replaces Control Theory in a talk just north of Brisbane, Australia – part of an extensive three month speaking tour in New Zealand, Australia, Korea, Japan and Singapore. The name of The Institute for Reality Therapy, Control Theory, and Lead Management is changed to The William Glasser Institute. At the 15th International Convention in Albuquerque, NM, Glasser takes a formal stand against the use of discipline programs in all schools. This resulted in some faculty leaving The Institute. 1997 Educator Training Center is dissolved. The 16th International Convention is held in Portland, OR. The Glassers speak throughout Europe, Norway, Italy, France, Germany, Holland, Ireland and Great Britain. Coins the subtitle for the new book Choice Theory to be “A New Psychology of Personal Freedom” because to the Croatians and Slovenians, Choice Theory represents “freedom”. Presented the Quality Community ideas to the Corning New York School District. 1998 Choice Theory, is published, and Choice Theory the Flip Side of Control (co-authored by Carleen) is published in 1999 by HarperCollins as The Language of Choice Theory. The 17th Annual Convention is held in Orlando, Florida. The Glassers speak in Galway and London. 1999 The 18th William Glasser Institute International Convention is held in Los Angeles, CA. The Glassers speak in Bogota, Colombia in August. Four more books are in production. 2000 What is This Thing Called Love? co-authored with Carleen is self-published, as is Every Student Can Succeed. Getting Together and Staying Together (also co-authored with Carleen) is published by Harper Collins. Reality Therapy in Action (later called Counselling with Choice Theory, the New Reality Therapy) follows. Speaks at the Evolution of Psychotherapy Conference in Anaheim, California. The 19th International Convention is held in Ottawa, Canada. Speaks in Israel and Slovenia. 2001 Fibromyalgia: Hope From a Completely New Perspective is self-published. Control Theory in the Classroom is reprinted as Choice Theory in the Classroom. The 20th Annual International Convention is held in Sydney, Australia. Dr. Glasser promotes Linda Harshman, Administrator, to the position of Executive Director of the Institute. 2002 Nelson interview for Teacher Education Quarterly. Unhappy Teenagers is published and later called For Parents and Teenagers. The 21st International Convention is held in San Antonio, TX. Consultation with staff of Torrance Memorial Hospital, CA begins. 2004 Is honoured by the American Counselling Association as a Legend in Counselling for developing Reality Therapy. The 23rd William Glasser Institute International Conference is held in Schaumburg, IL. 2005 Defining Mental Health as a Public Health Problem (later called Defining Mental Health as a Public Health Issue) booklet is published. Sixty-five thousand copies are released and eight thousand and five hundred are given as handouts at The Evolution of Psychotherapy Conference in Anaheim, CA. 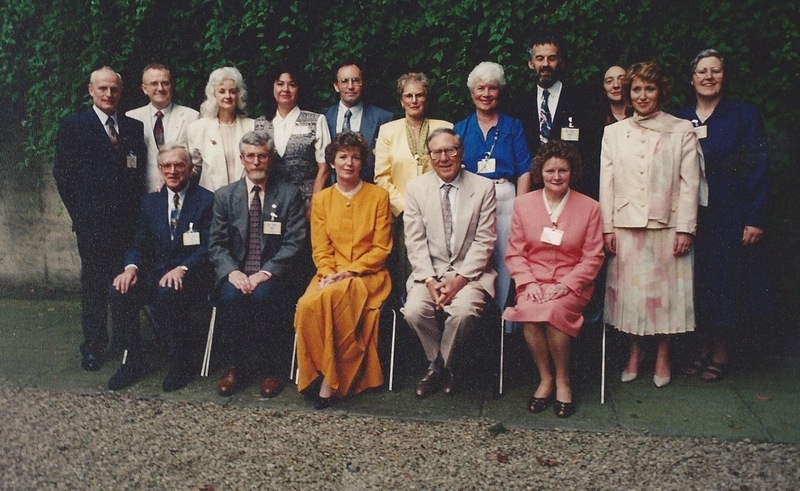 The 24th International Conference is held in Dublin, Ireland, marking Carleen & Bill’s 10th wedding anniversary. 2006 Begins teaching Choice Theory as a class in the addictions counselling program at Loyola Marymount University with Bradley Smith. Receives an honorary degree of Doctorate of Education from Pacific Union College, Angwin, CA. The 25th William Glasser Institute International Conference is held in Jersey City, NJ. 2007 The William Glasser Foundation is started at Loyola Marymount University. The book, Eight Lessons for a Happier Marriage is copyrighted for publication by HarperCollins. The 26th International Conference is held in Seattle, WA. 2008 The William Glasser Institute for Research in Public Mental Health is established in the Psychology Department at Loyola Marymount University and funded by Foundation donors. Japanese company, Achievement, Inc. celebrates 20th anniversary of teaching Glasser’s ideas to businesses with a speaking tour by the Glassers in Japan and the release of the book Eight Lessons for a Happier Marriage in Japanese. The 27th International Conference is held in Colorado Springs, CO. Through the efforts of EART President Leon Lojk, Reality Therapy is recognised as a scientifically validated psychotherapy by the European Association for Psychotherapy. 2009 The 28th William Glasser Institute International Conference (also the 4th European Conference) is held in Edinburgh, Scotland. 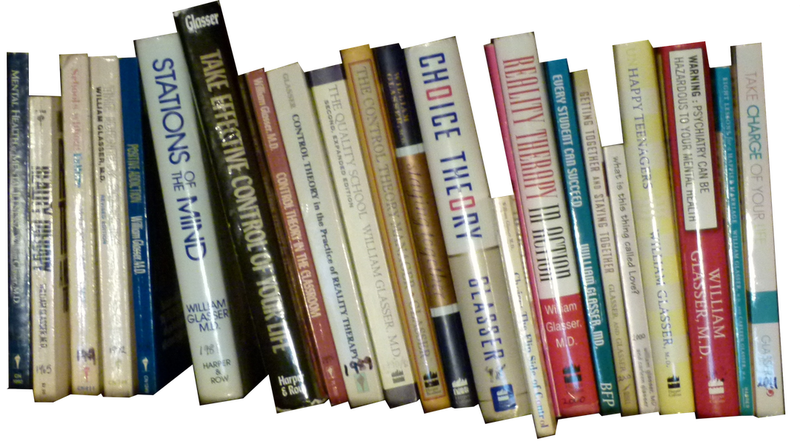 Choice Theory and Reality Therapy have, to date, spread to over thirty-five countries. There are 77,405 people who have taken at least a Basic Intensive and a total of 10,851 people have become Reality Therapy Certified. 2010 At the International Conference in Nashville, Tn. USA, a proposal to form an International Board to run WGI was formally made, supported fully by Dr. Glasser and was approved by the membership. A decision was taken to set up an Interim Board for one year to establish the electoral system. 2012 The new International Board planned and ran an international conference in Los Angeles, California, USA. 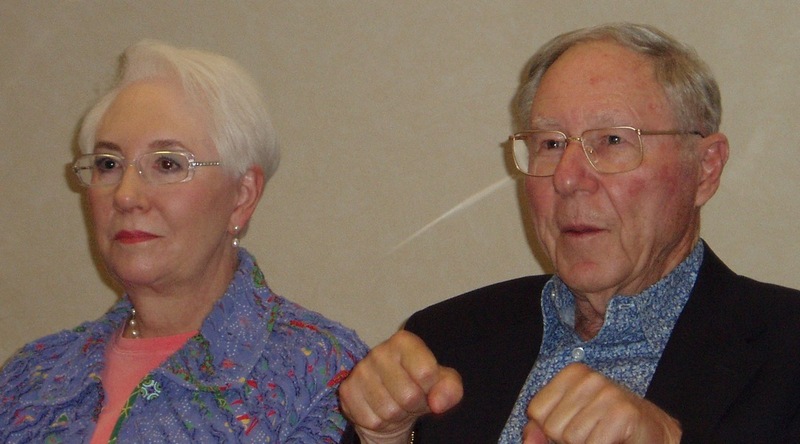 This was attended by Dr. William Glasser and his wife Carleen. 2013 On Friday 23rd August 2013, Dr. Glasser passed away at his home in Los Angeles. With thanks to www.wglasser.com for permission to reproduce the original chart. A full account of William Glasser’s life is provided in the biography written by Jim Roy. 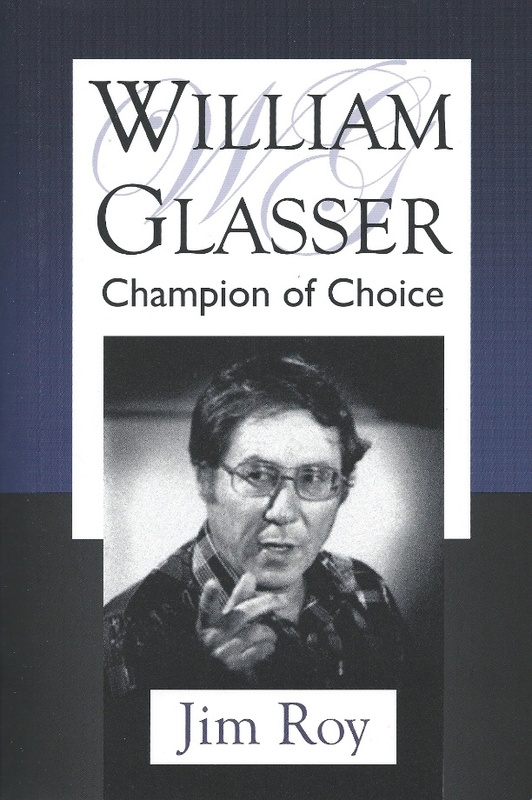 “William Glasser: Champion of Choice” by Jim Roy Ed.D. Published 2014 by Zeig, Tucker & Thiesen, Phoenix, Arizona, USA. 420 pages. I think all behavior including crazy behavior has a purpose.